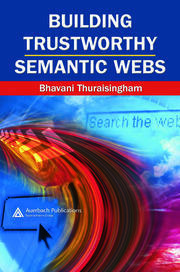 The rapid advancement of semantic web technologies, along with the fact that they are at various levels of maturity, has left many practitioners confused about the current state of these technologies. 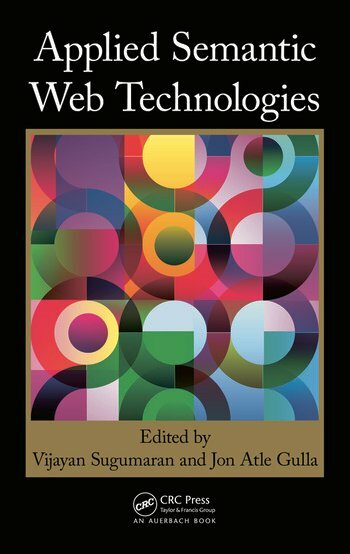 Focusing on the most mature technologies, Applied Semantic Web Technologies integrates theory with case studies to illustrate the history, current state, and future direction of the semantic web. 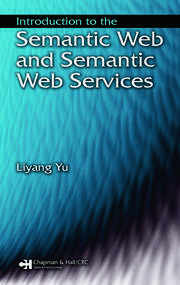 It maintains an emphasis on real-world applications and examines the technical and practical issues related to the use of semantic technologies in intelligent information management. Using case studies, the book provides authoritative insights and highlights valuable lessons learned by the authors—information systems veterans with decades of experience. They explain how to create social ontologies and present examples of the application of semantic technologies in building automation, logistics, ontology-driven business process intelligence, decision making, and energy efficiency in smart homes. Vijayan Sugumaran is a professor of management information systems in the Department of Decision and Information Sciences at Oakland University, Rochester, Michigan. He is also a visiting professor in the Department of Service Systems Management and Engineering at Sogang University, Seoul, South Korea. He earned a PhD in information technology from George Mason University, Fairfax, Virginia. His research interests are in the areas of service science, ontologies and semantic web issues, intelligent agent and multiagent systems, and component-based software development. He has published over 140 peer-reviewed articles in journals, conference proceedings, and books and edited eight books and two special journal issues. He is the editor-in-chief of the International Journal of Intelligent Information Technologies and serves on the editorial boards of seven other journals. He was the program co-chair for the 13th International Conference on Applications of Natural Language to Information Systems (NLDB 2008) and also acted as the chair of the Intelligent Agent and Multi-Agent Systems track for the Americas Conference on Information Systems (AMCIS 1999–2010). He also regularly serves as a program committee member for international and national conferences. Dr. Sugumaran has obtained research funding from several international agencies. He is a co-principal investigator on a multimillion dollar grant funded by the Korea Research Foundation. As part of this World Class University program, Dr. Sugumaran works with colleagues at Sogang University on a project titled Service Systems Engineering for the Creation of New Growth Engine based on Knowledge Service. Jon Atle Gulla has been a professor of information systems since 2002 and heads the Department of Computer and Information Science at the Norwegian University of Science and Technology. He earned his MSc in 1988 and a PhD in 1993, both in information systems, at the Norwegian Institute of Technology, along with an MSc in linguistics from the University of Trondheim and another MSc in management (Sloan Fellow) from the London Business School. He previously worked as a manager in Fast Search and Transfer in Munich and as a project leader for Norsk Hydro in Brussels. 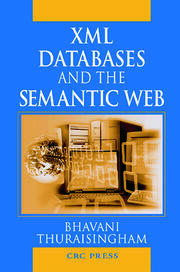 Gulla’s research interests include text mining, semantic search, ontologies, and enterprise modeling. He has taken part in national and international research projects on semantic technologies and co-founded several companies that make use of semantics and linguistics in industrial applications.